- Helps people with insomnia, migraine, headaches, fatigue etc. - Product should Not be left unattended whilst lit! .To remove dust , wipe the lamp with a damp cloth. .After cleaning, turn the bulb on for a few hours to dry with heat. .The salt absorbs moisture, once off, make sure it is placed in a dry place. Turn it on if it seems damp. Bio Elements, created in 2004 a manufacturer of natural products! Its main manufacturing site is at the foot of one of the most beautiful mountains, the Himalayas. This is where it gathers one of its key ingredients, the Himalayas has the largest resource of salt crystal in the world. Bio Elements range of organic products are now exported all over the world. 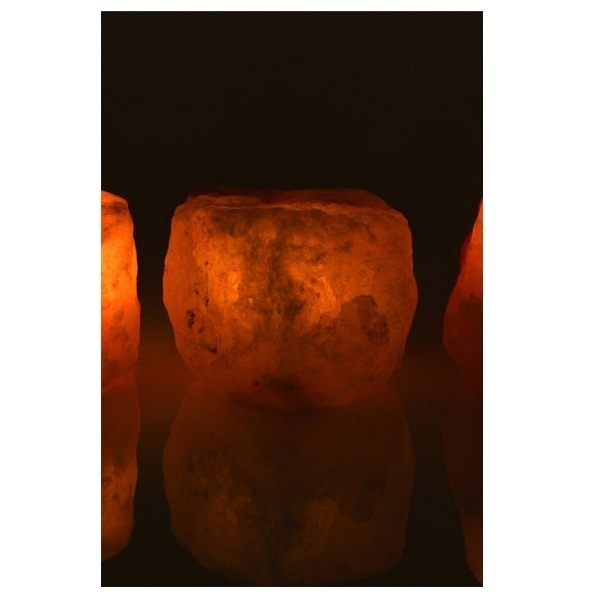 Each Bio Element crystal salt lamp is a unique and handmade. Bio Elements continues to diversify to offer its customers a wide range of organic products, discover the Bio Elements product range.